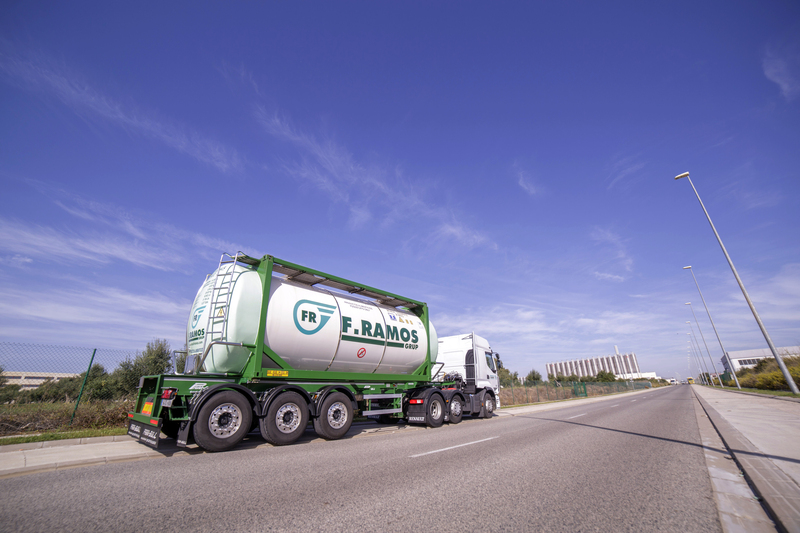 Transportes F. Ramos guarantees reliable, flexible and safe transport by motorway. We constantly innovate and are abreast of the latest technological advances to ensure fast transport under the best possible conditions. Furthermore, we have a localisation system which allows the client to be given more information on the status of their product. Have the most suitable accessories for self-discharge, such as pumps, compressors, etc. Have double caps for greater safety. Are fitted with raised, anti-slip plates, to give both the driver and the operator greater safety and mobility. Include digital and analogue thermometers for a greater temperature control. Allow transportation of products under an inert atmosphere, without contact with the air, avoiding oxidation and environmental pollution. Are made of isothermal stainless steel and comply with the ATP regulation for perishable products, applicable in the European Union. Standard tankers, with the best capacity for your product. Tankers with autonomous heating and lobe pumps for discharging dense products, such as chocolate, glucose, honey, etc. 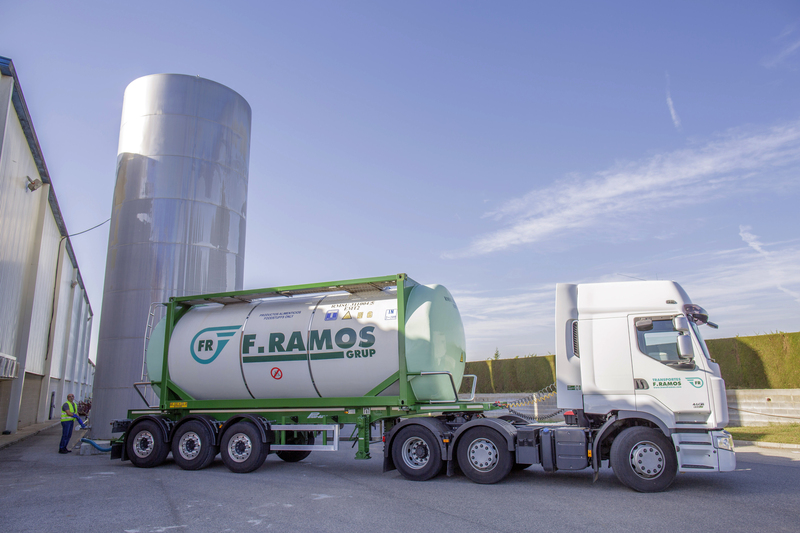 Jumbo type tankers, allowing the separation of products for human and animal consumption, ensuring the traceability of the products. 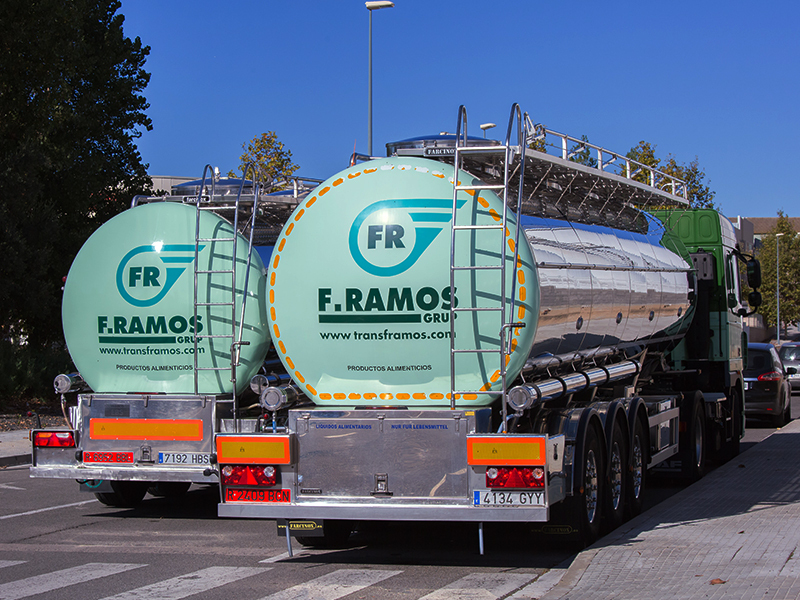 Single or multi Ultralight tankers, with load capacity of 27.5 tonnes.